This season, a new and unique whisky is going to be the ultimate holiday gift. Only thing is, you might not want to give it away, after trying a taste. BEARFACE SPIRITS’ signature release is known as BEARFACE Triple Oak. This delicacy is a small batch, hand finished Canadian whisky, aged 7 years. Anthony Von Mandl, founder and chairman of Mark Anthony group, takes issues with the black-and-white nature of whiskey categories. “Most are tied to stringent rules and regulations, reducing flexibility to innovate or modernize as consumer palates change,” he explains. BEARFACE fills a much-needed void within the whisky innovation space, challenging the norms and invigorating taste buds with notes of Hungarian Oak, French Oak, and American Oak. The American Oak adds warm vanilla notes, the French Oak adds dry and fruity notes and the Hungarian oak adds rye notes and a certain richness. This whisky company really puts the fine detail and focus on woody nuances, which helps it stand out from the rest. Ultimately, it’s a product of exhaustive trial and error, utilizing the wisdom of the most esteemed winemakers, blenders, and coopers. 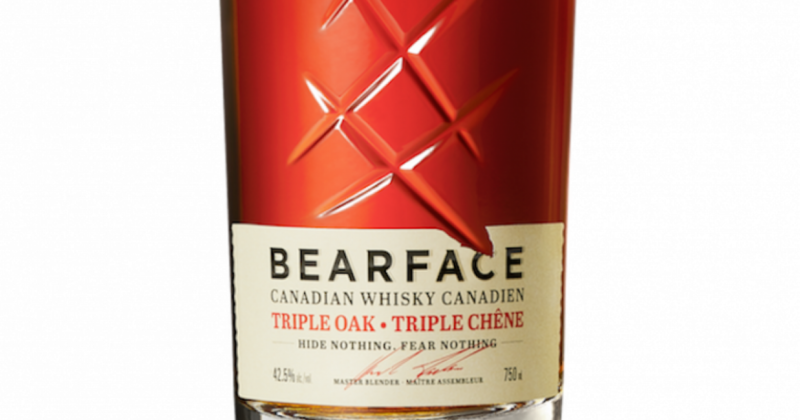 Retailing at $39.95, BEARFACE Triple Oak Canadian Whisky is bottled at 42.5% alc/vol and will be coming to an LCBO near you. What better way to pay homage to Canada with this perfectly tasteful stocking stuffer? Over the rocks with lemon garnish and a splash of ice water to invoke woodiness. Over chunky rocks with ginger beer, lime garnish, and a cinnamon stick. Add 2 oz BEARFACE, .75oz lemon juice, .5oz maple syrup, and 2 dashes aromatic bitters, to shaker tin. Shake and strain over ice, into the glass. Top with 5oz IPA beer and a rosemary sprig.